The Seven-Pointed Star, No. 5 and No. 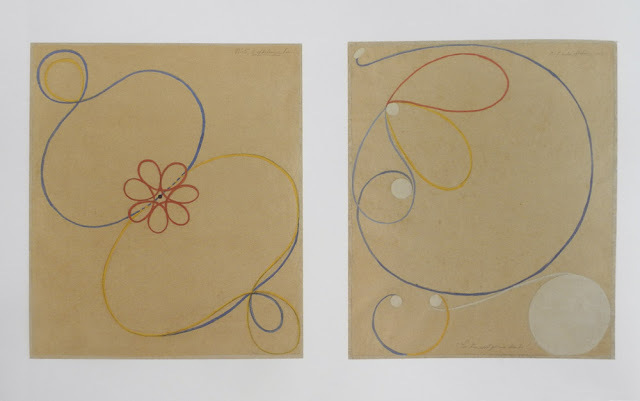 7, 1908; tempera, gouache, and graphite on paper mounted on canvas, ca. 29 x 24 in. I photographed all the images in this post, except the installation shot, from the catalog Hilma af Klint: A Pioneer of Abstraction. 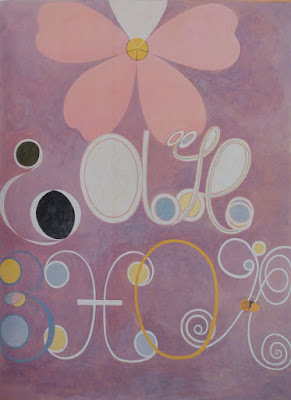 In 2012 the Museum of Modern Art mounted a great exhibition, Inventing Abstraction: 1910-1925. 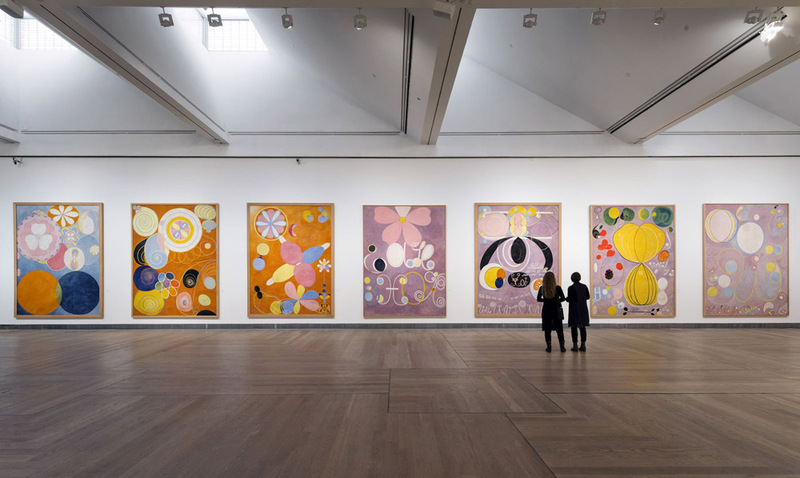 If they had thought to include the work of the Swedish artist Hilma af Klint, the early date would have been 1906. Why was her work missing from this important show? She was a woman; she lived in Stockholm, away from major centers of modern art; she was intensely involved in Spiritualism; when she died in 1944 she stipulated that all her work, over 1000 paintings, be kept together, not sold, and not exhibited for 20 years because they would not be understood. Her work was first seen in the exhibition The Spiritual in Art: Abstract Painting from 1890-1985, held at the LA County Museum of Art. 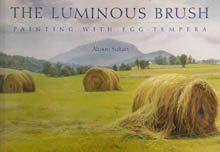 From that catalog and the work of hers that I'd seen online recently I was intrigued by this relatively unknown painter. 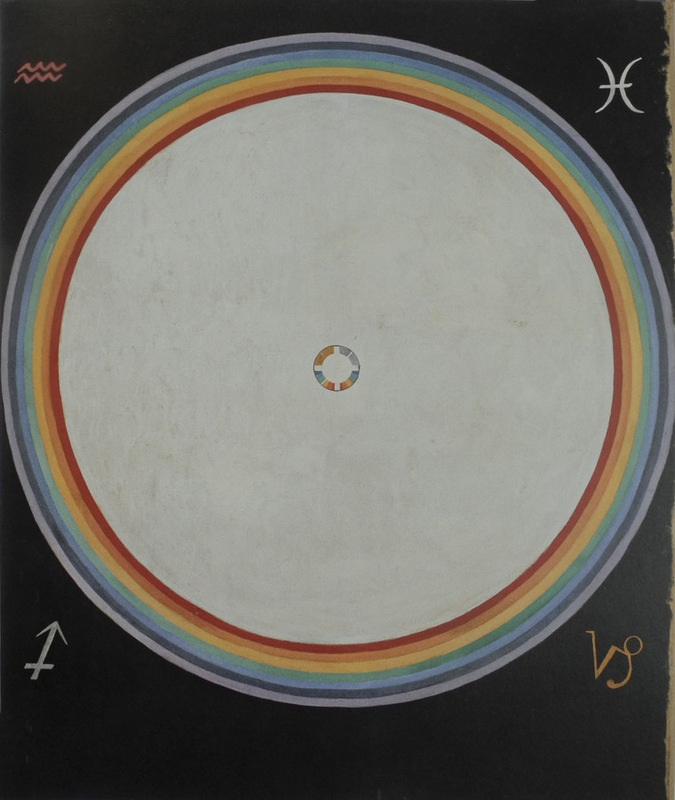 Then the artist Ravenna Taylor showed me the majestic catalog Hilma af Klint: A Pioneer of Abstraction, from a 2013 exhibition at the Moderna Museet in Stockholm and I was stunned and thrilled by the work. Granted, all my responses are only based on seeing reproductions, but I hope I will be able to see the actual paintings some day. What I saw in this catalog excited me aesthetically: in the paintings above, the flowing lines move gracefully across the page, a dance of lines forming shapes and intimating volumes. It all feels in delicate balance, with perfectly placed color. They are beauty and delight. The Seven-Pointed Star, No. 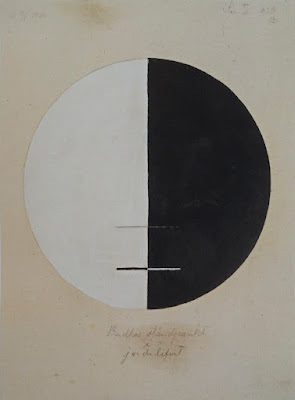 2, 1908; tempera, gouache, and graphite on paper mounted on canvas, ca. 29 x 24 in. This painting seems to refer to plant forms, which would not be surprising since af Klint was a landscape, portrait, and botanical painter before she turned to abstraction. 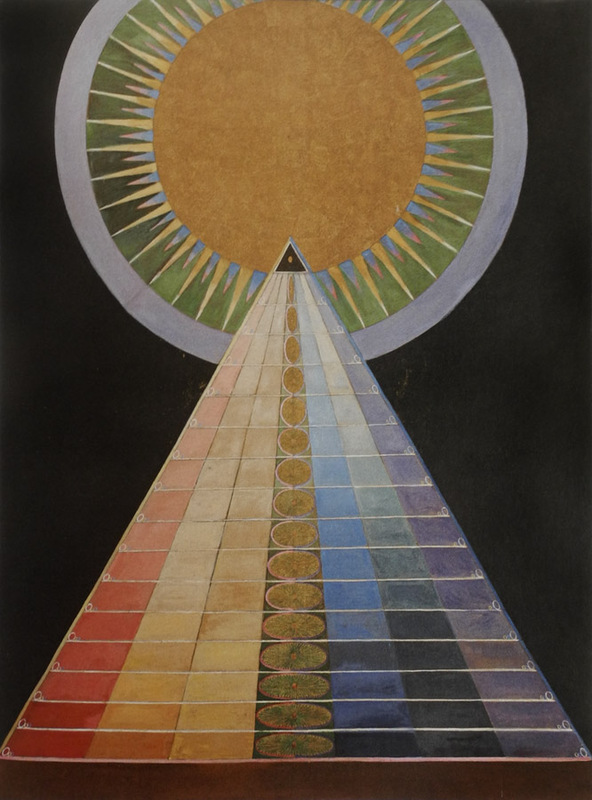 But then again, it was not exactly that she herself turned: in the works she did between 1907 and 1915 she claims she was guided by the "High Masters" , and that the works were a commission, executed through her, but she herself had no, or little, agency in their making. 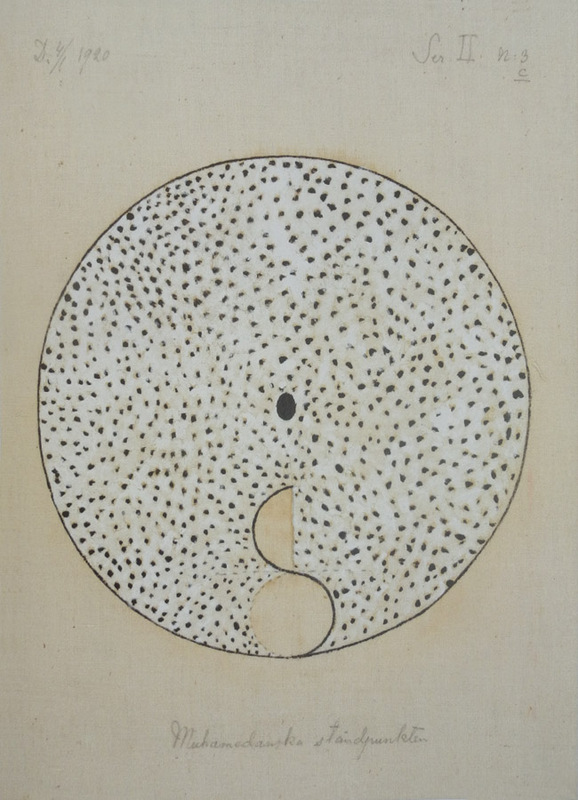 The seeds of this work was in a spiritualist group that she and four women friends formed in the 1890s, called The Five, where they would practice automatic drawing. A spiritualist medium was one profession in which women excelled and were respected. And lest you scoff, dear readers, during that time it was a widespread practice; even such a pragmatic thinker as William James engaged in seances. There was a desire to reach the world beyond our merely physical one. The Ten Largest, No. 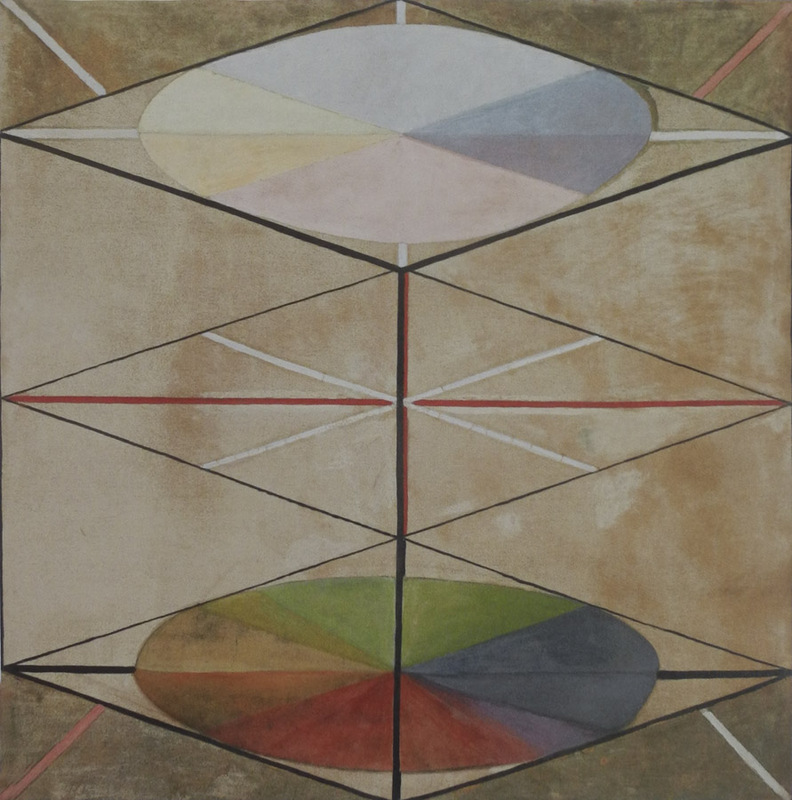 5, Adulthood, 1907; tempera on paper mounted on canvas, ca. 126 x 93 in. The Ten Largest, No. 9, Old Age, 1907; tempera on paper mounted on canvas, ca. 126 x 94 in. Let us proceed out of the labyrinth of the earth into boundless space with numbers and color and let us husk the grain of consciousness. The Dove, No. 14, 1915; oil on canvas, ca. 61 x 51 in. 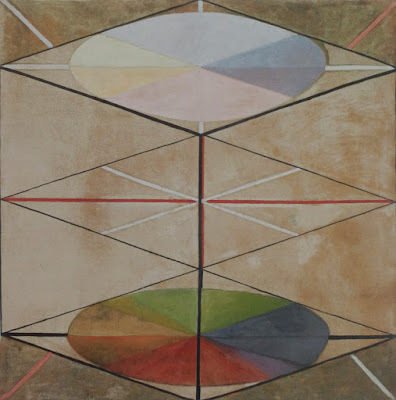 To remove that husk, do we have to understand the meaning of every shape and symbol in af Klint's paintings, since every element of her paintings has a specific meaning? The Swan, No. 16, 1915; oil on canvas, ca. 61 x 60 in. I don't feel I have to be able to read the intended meaning in each of these paintings; they themselves speak, as color, form, light. The balance and tension of circles that seem to spin above a boundless dark provide an aesthetic satisfaction, a sense of tough beauty. The Swan, No. 23, 1915; oil on canvas, ca. 60 x 59 in. 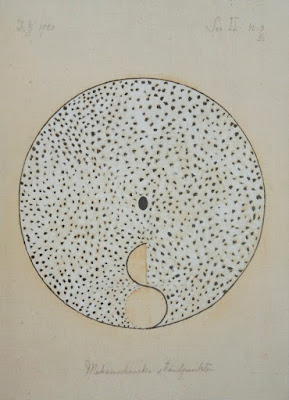 Segmented ellipses within diamonds; a composition horizontally and vertically nearly symmetrical; an intensely colored wheel sinking to the bottom, a lighter one floating up; the whole flip flops from a spacial to a flat reading of space. This is a complex painting in the guise of something simple. Altarpiece, No. 1, 1915; oil and metal leaf on canvas, ca. 94 x 71 in. 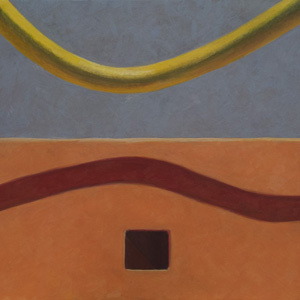 This is one abstract painting that has an overtly spiritual narrative, as of a pyramid/staircase both rising and going back in space, and meeting a radiant disk. On the one hand, it seems a little formulaic, but on the other, it has a powerful presence. 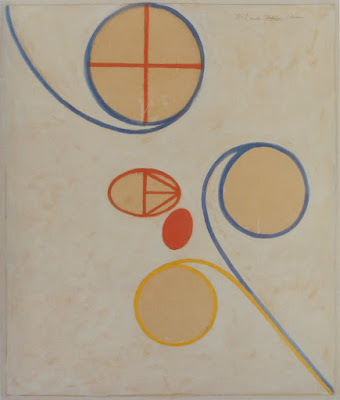 Af Klint painted some works with overtly figurative elements, but her abstractions are what interest me. No. 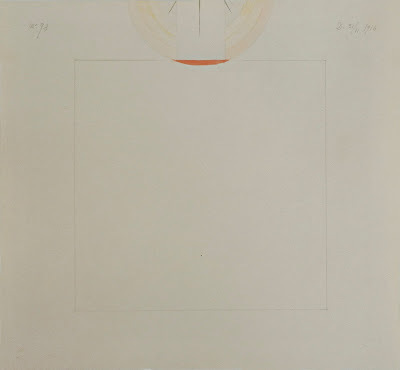 41, Group1, The Parsifal Series, 1916; watercolor and graphite on paper, ca. 10 x 10 in. No. 98, Group 111, the Parsifal Series, 1916; ca. 10 x 11 in. ....so reticent as to be almost not there. The circle, the square, the triangle: basic shapes that express a reality beyond the ordinary, a world beyond the physical. 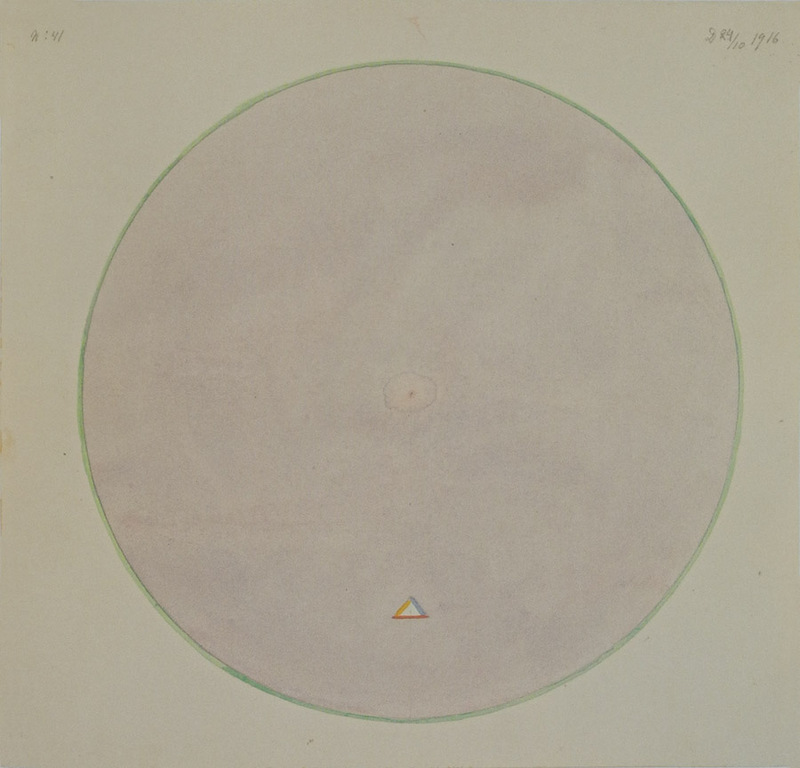 The tiny triangle within the soft pink circle in No. 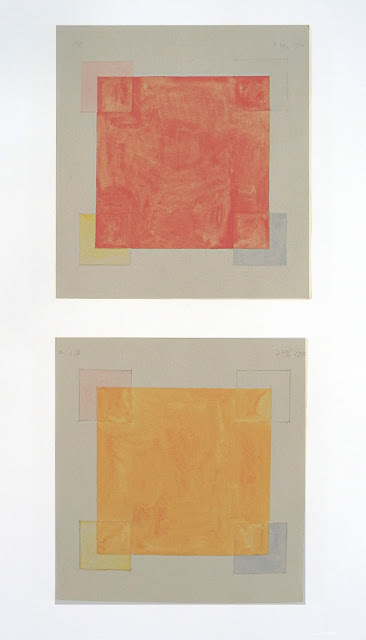 41 focuses the attention and calms the mind as does the slight orange shape intersecting the square in No. 98. These two pieces appeal to my love of simplicity and of geometric abstraction, and they open the heart. each ca. 11 x 10 in. Subtly brushed squares upon squares are a clear indication of how a basic shape can point to something essential and transcendent. Buddha's Standpoint in Worldly Life, 1920; ca. oil on canvas, 15 x 11 in. The Mohammedan Standpoint, 1920; oil on canvas, ca. 14 x 11 in. ....it seemed as though I was hardly doing the work at all, but that it was coming to me from the past or from an unseen place. 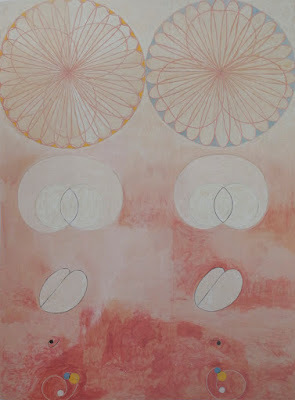 So I had a small glimpse of what af Klint might have felt as she was working. Several paintings from the series The Ten Largest; image courtesy Art Blart blog, where you can see more images. The paintings are explosive, bursting with life and energy; truly astounding for 1907. They might have changed the history of modern painting if they had been known at the time. Hilma af Klint had a complex belief system that was embedded within her entire body of work, but what we are left with are the paintings. It is important to understand their origins and intent, but we are interested mainly because af Klint created work that is truly beautiful. Well said, balanced and full of empathy and insight. Thanks again for sharing your open, welcoming responses to art and life. Your writing about Hilma af Klint's paintings is also beautiful and sensitive. I enjoyed your selections, also some of my favorites -- but to see them here, through your eyes, and to see in my mind's eye the works of your own that resonate with these, as added to my appreciation. Thank you for your work in this blog, always. Thanks so much, Ravenna, for your appreciation. I agree with Ravenna. Thank you so much Altoon. Thank you Altoon, what an amazing artist. I'm glad you liked the work, Myrna. Never heard of her--and I love her work now! Thank you for the introduction! 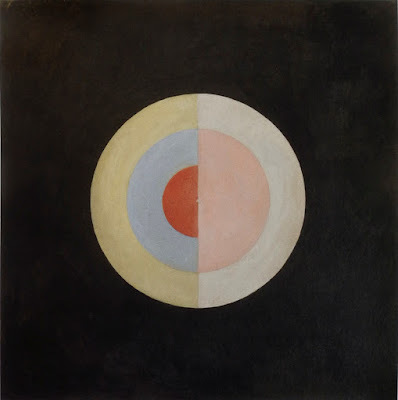 Thank you all for looking and reading; I'm pleased you appreciate af Klint's work. 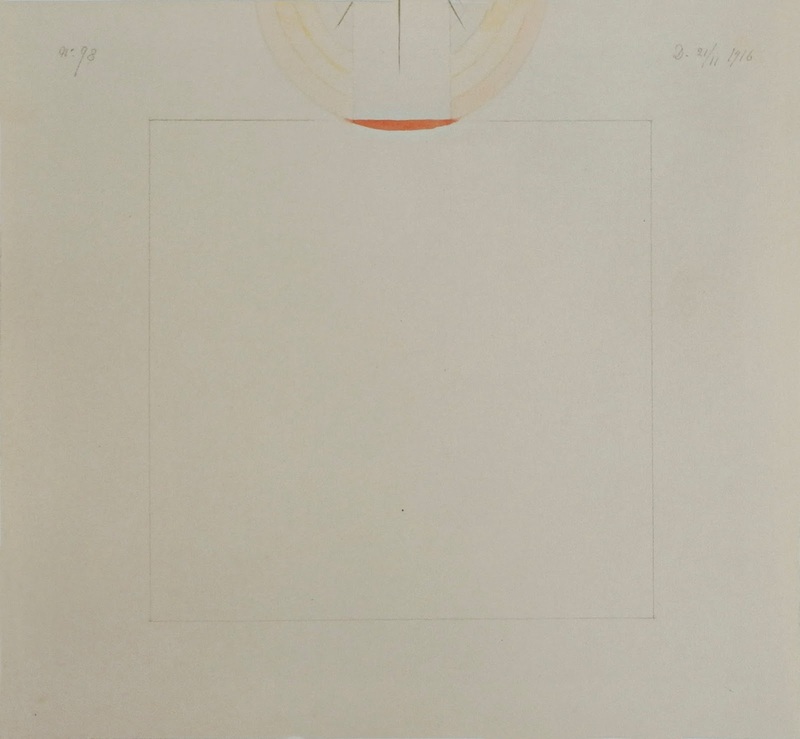 Your work is closer to traditional sacred design; I see af Klint's work as quite different. Her work has been a revelation to me as well, although I realized (backwards) that I had seen it at the LACMA show "The Spiritual in Art" in the 80's. I would also love to see the works in person (I missed seeing the exhibit at the Hamburger Bahnhof in Berlin by only weeks!) The sheer power, fluidity, grace and sense of unboundedness of the larger works (shown in the final photo) are astonishing, and feel absolutely of this moment. It's a wonderful catalogue to pour over. Thanks for reminding me of it all. One of my favorite Artists - thank you for this post. Thank you for reading the post, Jim and Sarajo. I'm happy that you too love the work. Wonderful post Altoon, astute. I saw her work in 2013 at the Venice Biennale.....and the Tantric works, they weren't far apart- a really interesting part of the main building- great curation. Simply stunning. I was only looking at her monograph in the bookstore recently so thank you for the reminder, it needs to be in my library. Thanks, glad you liked the post. How nice that you were able to see the work, and how interesting that Tantric paintings were also shown at the Biennale. wow. Fascinating to enjoy the images so intimately on my computer screen, and then to see the gallery photo showing their actual scale. Thanks for sharing these. A New Painting: "White Wall"